Just found your website and it is great. How do I find the four mile trail in Yosemite. I will be there in July this summer. Thanks for the great picture. Four Mile Trail is on the south side of Yosemite Valley. If driving around the valley counter-clockwise, look for the Yellow Pine campground on your left. Once you pass it, you'll drive of Sentinel Creek and the Four Mile Trail with be on your right almost immediately thereafter. 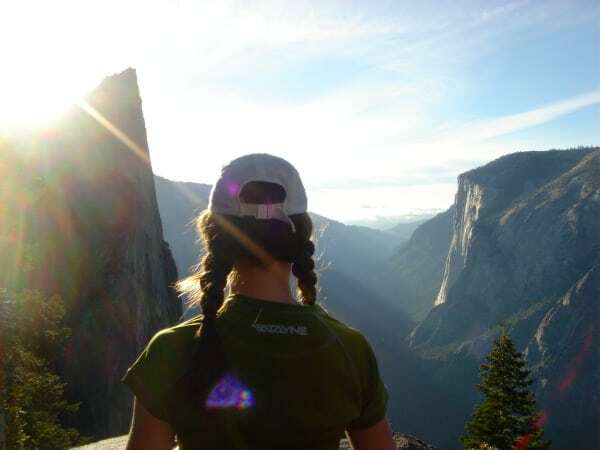 If hiking from Yosemite Village, take the trails that head southwest across the valley. Once you hit the valley trail on the south side, go right for a quarter mile. If you go straight across Yosemite Valley on trails from Yosemite Village, you'll again go right (west) and go about .85 miles to the Four Mile Trail. If you are starting on the south side of Yosemite Valley take the valley trail west 1.6 miles from the LeConte Memorial or just under 2 miles from the west end of Curry Village.